I have a feeling that this Food on Friday might end up with a very large collection of links. So many of you out there are such great bakers. 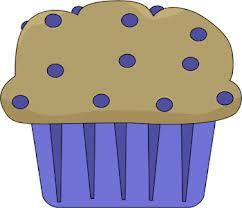 So here it is, Food on Friday: Muffins and Cupcakes. Just link up using Mr Linky – it would be great if you popped your name and the name of the dish in the first box. And then copy your post's url into the second. Please do visit some of the other links. I just know there will be some fabulous ideas to inspire you. Disclaimer – I take absolutely no responsibility for the effects on your collective waistlines of reading these recipes! This is going to be a very excited food on friday! i love you muffin and cupcakes! Thanks for the invitation. Linked up some mini muffins! Cupcake ideas, just in time for our holiday baking! Love it!!! Hi Carol! Thanks for hosting! This week I shared Morning Glory Muffins! Have a great week! Thanks for the invite! I love muffins and cupcakes...what a great link up! Muffins and Cupcakes - coulnd't be better! Thank you for hosting Food on Friday, Carole! Thank you for the party, Carole! I shared a savory Parmesan Muffin - they're great with soup :) Enjoy your weekend!! Thanks- added the Mexican Hot Choc cupcakes! Lots of great recipes listed here! Thank you, Carole! Linked the Cranberry Orange muffins for the event. Added my batch of Teenie Cake's Pumpkin Cream Cheese Muffins! Thank you! Hi Carole, Thank you for the invite! Linked our gluten free blueberry muffins! Thanks for they invite Carole. I've entered my Chocolate Glazed Baked Doughnut Muffins. Mmmmmm... Doughnuts (in muffin form). Many thanks for the invitation! Just linked my Christmas Cupcakes! Thanks for the invite Carole!!!! I indeedy just entered my recipe for Donut Muffins with Cinnamon Sugar! Thanks for the invite, just linked my sausage cheese mini muffins! Thank you for inviting me to add my link, Carole. I added my Blue Velvet Cupcakes and Cupcake Menorah for Hanukkah Week! Happy holidays, everyone! Hi Carole! have linked my entry,Coffe cupcakes...good to see nice collections of cakes n muffins here! thanks for hosting this again....Have a Great Day! Thanks for the invite! Can't wait to try some of these recipes!! Thanks Carole! I appreciate your generosity. Hi Carole, Thanks for bringing me here!!! I have added my Eggless Blueberry Muffins!!! Hi Carol, thanks for inviting me here! I have added my link. Hello Carol. Thank you for visiting my blog and inviting me to party with all of you! Hi Carol, thanks for inviting me over here, what a wonderful roundup! This is going to be such a good one! Wow.. many recipe for cupcakes! Hmm.. definitely go to make my own cupcakes with one of those recipes! Thanks for the invite. I added my zucchini nut muffins! Because I didn't see a limit, I linked up 5 muffin recipes for you! Hi Carole, thanks again for the invite to bring here a recipe. Thanks for the invite! What a fun site. Hope your readers enjoy our Molasses cupcakes as much as we have. Love the disclaimer, Carole! Thanks for the party. Thanks for the invite! I have just added my link. Lots of inspiration here. Thanks so much for inviting me! I just linked up my White Chocolate Truffle Cupcakes. :) Hope you're having a great week! Thanks so much for the invite! Looking forward to checking out some the amazing recipes shared! thanks for dropping by to invite me to think linky. Have linked up my Red Velvet Cupcakes recipe. Hope it will bring some cheer and joy to you and your loved ones this Christmas. So many great recipes, so little time! Thanks for hosting. I added carrot cake cupcakes with maple cream cheese frosting, pumpkin spice bread muffins, and cranberry coconut muffins. :) This is a great one! hi carole, sorry that i forgot to include the name of my cupcakes at #100. It's Frosted Chocolate Buttermilk Cupcakes. Can you pls add that in? thanks for the invitation. so many links up there,I'm sure i will be able to find some nice recipes there! thanks for hosting! Thanks for the invite to link up. All of these recipes sound divine--I want to eat them all!!!! thanks so much for the invite! just linked up some hot chocolate cupcakes! happy holidays! Thanks for letting me know about this! There's some awesome recipes here! Thanks Carole for the party! I know I am showing up late. Better late than never. I think I will be spending a lot of time here today. Have a great day! Thanks for the invite - can't wait to see all the cupcakes!! Thanks for inviting me to this! I have posted the Almond Poppyseed Muffin recipe....hope you are well! What a great resource. Thanks for the invite.